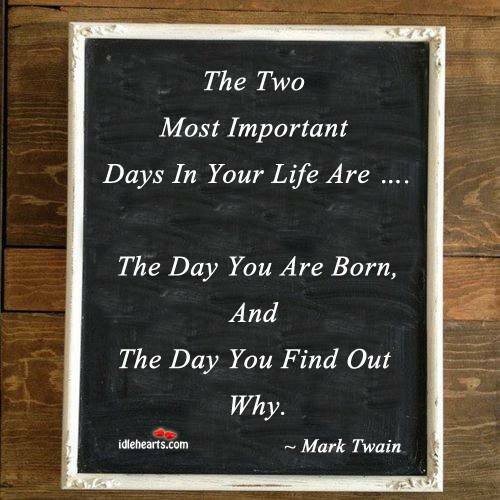 The two most important days in your life are …. The day you are born, and the day you find out why. Quote : The two most important days in your life are …. The day you are born, and the day you find out why.